The Best Classroom blogs from thousands of top Classroom blogs in our index using search and social metrics. Data will be refreshed once a week. 2.4 I Can Teach My Child! 2.52 Mrs Baldwin's Class Blog! 2.64 Cool Cat Teacher Blog | Be a Better Teacher. Live a Meaningful Life. Classroom newsletter is a comprehensive summary of the day's most important blog posts and news articles from the best Classroom websites on the web, and delivered to your email inbox each morning. To subscribe, simply provide us with your email address. Austin, TX About Blog To promote innovation in education through collaboration and connection to the most effective classroom resources. Facebook fans 1,133,546. Twitter followers 393,860. About Blog Organized Classroom is dedicated to those teachers who are or wish to be more efficient and effective in the K-12 classroom. It offers ideas, product reviews, and fun ideas for how to be more organized in lesson planning, setting up a great learning environment, and daily classroom upkeep. Facebook fans 75,929. Twitter followers 5,397. Facebook fans 965,141. Twitter followers 13,693. 4. I Can Teach My Child! About Blog Activities and resources for parents of young children in classroom. Facebook fans 67,376. Twitter followers 3,000. California About Blog Buggy and Buddy is an extensive resource for parents, homeschoolers, and classroom teachers to find ways to inspire creativity and self-confidence in their children while promoting learning and fun through crafts, games, art, science and literacy! It is full of ways to inspire you to create, play, and learn with your children, and in doing so, help form confident little beings that love learning! Facebook fans 53,212. Twitter followers 3,511. Central Harlem, Manhattan About Blog Lisa Nielsen is the face behind this modern blog. She writes and tries to inspire teachers because she always found school boring. She blogs about innovative technologies and ideas any teacher can use in the classroom. Facebook fans 1,045. Twitter followers 32,675. Southern California, USA About Blog She has somehow managed to stay in Kindergarten all of those years, with the exception of five years in first grade and a few months in preschooL. Combining a strong knowledge of brain research with practical experience, Heidi has created a wealth of fun and engaging teaching techniques that work well with diverse populations. Facebook fans 18,363. Twitter followers 4,340. Nashville, TN About Blog Compass Classroom produces video-driven homeschool curriculum that makes teaching easy and learning fun. Watch free lessons today for Latin, American History, Economics, Filmmaking and more. Facebook fans 4,798. Twitter followers 970. Texas, USA About Blog Kreative in Kinder is a teaching blog that seeks to connect with primary teachers around the world. This forum provides creativity, conversation, and fun all from inside a Kindergarten classroom. Facebook fans 27,451. Twitter followers 7,122. Australia About Blog A Year 2 class in Western Australia. We aim to open a window into our classroom through this blog, to allow others to see the learning that goes on in our classroom. We want to share and celebrate children's work with parents, friends and the wider world as well. Facebook fans 62,434. Twitter followers 40,608. Facebook fans 13,618. Twitter followers 1,232. London, England About Blog My name is Sergei and I am a full-time dad to two adorable boys: Alex and Max. We love creative play, educational fun activities, experiments, easy-to-make crafts. Facebook fans 2,309,339. Twitter followers 5,731. About Blog Autism Classroom Resources is a place where Research Meets the Classroom. Facebook fans 11,685. Twitter followers 44,300. About Blog Claire Spofforth sharing her kindergarten teaching experience and different classroom ideas. About Blog Welcome to the 3 FI blog! We are going to be your grade three French Immersion teachers this year. We have enjoyed our summer and spent a lot of time with our friends and family but we are ready to get back into the classroom to start teaching a new group of students! About Blog The Sixth Grade Writing Workshop Weblog. This is a space where sixth graders at Norris Elementary School will be sharing some of their work and where their writing teacher — Mr. H — will be providing examples of projects and guidelines to assignments. About Blog Find out what students are learning in the iLab and around our school! Our cover photo changes each time readers log in, so check back often! About Blog Our flight plan to successful learning. I have been teaching in the public school system since 2007 and absolutely LOVE it! Australia About Blog Fifth Grade Learning Explorations. Facebook fans n/a. Twitter followers 40,627. Australia About Blog Welcome to our class blog. We are group 4th grade students (ages 9-10) in Mrs. McKelvey’s class in San Diego, California. We are here to share our experiences and work, and learn more about our world. We might even have a few videos in our blog. Australia About Blog A place to keep up with all the BUZZ. We are a class of fourth graders at in Marshall, Missouri. Facebook fans 62,431. Twitter followers 40,608. Australia About Blog Keeping students engaged and parents informed! Facebook fans 62,432. Twitter followers 40,606. Australia About Blog Welcome to our class blog! Here you will find information about what we are doing here in 5th grade! Facebook fans n/a. Twitter followers 40,613. Melbourne, Australia About Blog News and Artworks from our students in Melbourne, Australia. I’m not new to blogging, having begun this blog back in 2008, and see it as a great way to communicate with students, teachers and members of the world community our joint passionate interest in Visual Arts. Adelaide, SA, Australia About Blog Teaching for 21 years R-4. Passionate about using ICT in the classroom and sharing ideas. Lawndale, CA About Blog This is where we show what we have been learning and doing in Language Arts and Math. About Blog We have three main goals for our classroom blog. The first is to use various media to keep parents more informed about what and how students are learning in our classroom. The second is to provide a real audience with whom students can share their learning. While doing so, students will learn more about using various media to accomplish their aims. Finally, we will all be able to explore. South Australia About Blog Growing and Learning Together in The Doolette Community Room 02! We are a class of 23 children in our first year of school. We love to keep busy and learn new things each day. We hope that you visit our blog regularly to find out about all of our learning. About Blog Celebrating living and learning together. Welcome to our classroom blog. You will also find information about students and what they do in the class. About Blog Sharing some of our learning adventure with you. We are a second and third grade multi-age class in stunning central Vermont in the United States. Our school is in a rural tourist area especially famous for Quechee Gorge, and we love so many things about where we live. About Blog Reading, Writing, and Blogging! We are a class of Grade 2 students in Coquitlam, British Columbia, Canada! Our Classroom has been called the “Living Classroom” because we have SOOOOO many class pets and plants in our room. About Blog My classroom expectations are that the children will respect and rejoice in our differences. We will work hard together and function as a team so that we may all succeed. I look forward to celebrating your child’s achievements and assisting with any struggles during our 3rd grade journey. Langhorne, PA About Blog I created this blog back in 2010 as a way to share our classroom experiences with parents, teachers and other classrooms. So now this blog has become a way for me to share my teaching experiences with other teachers and classrooms around the world. Facebook fans n/a. Twitter followers 1,282. Moose Jaw, Canada About Blog A Class of Six Year Olds Inviting the World into Their Classroom. A place to keep up to date with what is happening in my classroom. Facebook fans 108. Twitter followers 4,640. About Blog A chance to discover our part of the learning world; we invite you to view an entry and post a comment! About Blog Passionate about being a 4th grade teacher, techie, knitter, scrapbooker, avid exerciser and 12 step lover! Love my husband and kids! And the kids I teach. Lethbridge, AB About Blog I am passionate about about learning, enjoy planning new and exciting ideas for my students, and helping my students become empathetic, resilient, and capable global citizens. About Blog A window into our classroom! Hudsonville, MI About Blog Staying Informed About Room 306 Happenings. 4th Graders tweeting our daily happenings and experiences. About Blog There are 26 students in our class. We are aged between 9 and 10. Our small school is located in rural South Australia. We are hoping to use our blog to showcase our work, connect with other classes and participate in online learning projects. Brisbane, Queensland About Blog Contemporary Teaching & Learning, Gifted Education, Class Dojo Ambassador, Empowering Learners, Blended Classroom, Growth Mindset. About Blog Welcome to LA14's blog. Here you will find links to the students' blogs and news about what's happening in our fabulous class and our awesome school. Selma, IN, USA About Blog Check into our classroom, from anywhere. This is our class room web page / blog site. Here you can review what we have done each day in class and get to know more about me, Mrs. Scales. About Blog This blog will contain resources for Mr. Ferlazzo’s Theory of Knowledge class. Facebook fans 10,354. Twitter followers n/a. Bahrain About Blog We are grade 5 students in Bahrain learning to speak English and contribute our genius to the world. Facebook fans 22,576. Twitter followers 5,648. 52. Mrs Baldwin's Class Blog! About Blog Together we can reach for the sky to achieve our dreams. We are an enthusiastic and energetic group of students who enjoy school and we love having fun learning new things! We are excited about our class blog and hope everyone enjoys reading and finding out what we are learning at our school! Seattle, WA About Blog Edudemic covers the latest research, news, and resources for educators and teachers. Edudemic wants to prepare teachers for the classroom with innovative, informed, and engaging tech resources. Facebook fans 36,828. Twitter followers 221,431. Australia About Blog each Starter provides high-quality teaching resources which can be easily downloaded and printed at home by primary school teachers and parents. Our vision is a world where every child is inspired to learn. Our mission is to help one million teachers and parents inspire and engage children by providing resources that make learning fulfilling and fun. Facebook fans 341,173. Twitter followers 1,028. White Oak, Texas About Blog TCEA Teacher of the Year & IT of the Year, Testing Coordinator, RtI/504 Manager, Sp.Ed., Moodle, Web 2.0, SymbalooEDU Pro, Blogger, PLC, Infectious Tech. USA About Blog We empower students to write with a meaningful purpose and to share their voice with an authentic audience. Teachers in over 70 countries trust Kidblog to share student writing with a real audience. Facebook fans 4,803. Twitter followers 12,439. NEISD About Blog Welcome to our blog! We are students in Mrs. Chandler's Gifted and Talented class, grades kindergarten to fifth grade. We attend G/T class weekly with Mrs. Chandler at Encino Park Elementary. We love learning and sharing what we do in class! About Blog Through our units of inquiry, we explore, question, inquire, learn, reflect & connect with our community. About Blog Smart Classroom Management offers simply effective classroom management tips, strategies, and solutions. Facebook fans 16,686. Twitter followers n/a. Facebook fans 45,793. Twitter followers 6,687. About Blog Monica Burns writes about technology. During her days as a classroom teacher, she used iPads to create engaging, differentiated learning experiences to meet the unique needs of her students. Monica is specialized in short list posts about educational tools and apps for teachers. Facebook fans 6,327. Twitter followers 46,821. Shetland Islands About Blog We are a very small island primary school in Shetland. We are P1 - P7. We are great learners and we are good at using Glow. We are very good at working together. 64. Cool Cat Teacher Blog | Be a Better Teacher. Live a Meaningful Life. Camilla, Georgia About Blog The Cool Cat Teacher Blog helps you be an excellent educator everyday with advice, ideas, and inspiration. Vicki has 18 years of experience teaching teachers how to use technology in the classroom. She has been teaching students with new tools, enthusiasm, and belief that teaching is a noble calling. She is a full time teacher and the IT director at Westwood Schools in Camilla, Georgia. Facebook fans 14,526. Twitter followers 155,038. United States About Blog Mrs. Kriese's 7th ELA Students who share their learning lessons. About Blog Community sharing their leaning experiences with other teachers. About Blog We are a class of 17 foundation students at Upper Plenty Primary School. We love sharing our learning with our families and friends though our blog. We also love finding out what students all over the world are learning in their classrooms so if you’re visiting from another school please leave us a comment. About Blog We are the students from 3/4C at Barwon Heads Primary School in Victoria, Australia. There are 26 of us and our teacher is Miss Jordan. We use this space to share all of the fantastic things that are happening in our classroom. Listowel, Ontario About Blog Grade 2 Teacher: Asking, Answering, Always Learning. Tweets #AMDSBlearns blog posts. Retweets educational inspiration, Listowel and a wee bit of random fun. South Central TX About Blog Teacher of K-5 Gifted Students, dedicated to engaging and inspiring all learners. Facebook fans n/a. Twitter followers 6,784. Surrey/London, UK About Blog This blog is filled with ideas and resources for teaching secondary mathematics. With everything from Star Wars puzzles to mathematical handwriting, it’s an award winning blog for all things maths. Facebook fans 1,095. Twitter followers 20,713. Palo Alto, CA About Blog ThingLink is the leading provider of image and video interaction tools in the classroom. Use our tagging platform to layer your images and videos with web links, photos, texts, videos, polls. Facebook fans 15,904. Twitter followers 18,758. Issaquah, WA About Blog We are passionate about bringing together a variety of quality fine art and paper craft product lines that will inspire and enhance the work of card makers and paper craft artists, all while providing excellent customer service and education using these products! Facebook fans 14,047. Twitter followers 2,501. About Blog A blog by April here to empower you, a modern teacher, with resources and simple solutions for your classroom and your home. She has an incredible passion for helping teachers. Facebook fans 18,551. Twitter followers 269. Chapel Hill, NC About Blog The Walking Classroom is an in-school fitness initiative and educational tool that addresses different learning styles. Students are active learners as they walk, listen and learn to entertaining and educational podcasts which are aligned to the Common Core State Standards. Facebook fans 1,229. Twitter followers 934. Dublin About Blog The English Department of St Columba's College, Whitechurch, Dublin 16, Ireland. Pupils' writing, news, poems, drama, essays, podcasts, book recommendations, language, edtech ... and more. Since 2006. Facebook fans n/a. Twitter followers 5,454. About Blog 3rd Graders Connecting Around the Globe and sharing their experiences in the classroom. Our class contains 30 eager third grade learners whose goal is to discover the world around us, build global relationships, and collaborate with others. Japan About Blog All of our songs, games and activities are developed and tested in-house by experienced teachers at our well-established language school in Japan. Kids learn best when they don’t realize that they’re learning. Our materials are often inspired by natural play and interaction in the classroom. Watch videos on Youtube. Facebook fans 10,649. Twitter followers n/a. About Blog Classes have become more and more dynamic so being digital and interactive is a must for any English Classroom. Putting all ingredients together, the ideal recipe is an Interactive English Classroom. About Blog Keirryn shares about whatever activities she performs in her classroom. About Blog Mrs Johnstone shares different activities, tips and homework among others. Port Orange, FL About Blog A classroom blog for parents and friends to let you know what is going on in Mrs. Wright's 1st grade classroom at Cypress Creek Elementary in Port Orange, Florida. Auckland, New Zealand About Blog A person who writes as a living or as a hobby. We are using blogging as a tool to improve our writing and become a class of connected writers! About Blog The Official Blog of Mr. C's Class at Noel Elementary School! Modeling the use of technology to teachers and students. Coronach, Saskatchewan, Canada About Blog Welcome to Grade One! Mrs. Elder shares her experiences about learning with grade one students. About Blog We are a group of 28 enthusiastic NE - Yr 2 students. We learn in a two large open classroom spaces and Mrs Kitto and Miss Tyrell are our teachers. We love sharing our learning on the blog and hope that you will take the time to leave us a comment or ask us a question. About Blog We are a Year 2/3 class at Reefton Area School on the West Coast of New Zealand. We have been excited by the global connections that we have already made, and always welcome the opportunity to make more connections. About Blog Welcome to our class blog. We are a Year 1 and 2 class and our teachers are Miss K1 and Miss K2! We live in Richmond, Nelson which is near the top of the South Island of New Zealand. We hope you enjoy reading about our learning activities. We would love to read your comments. Highlands Ranch, Colorado, USA About Blog First grade teacher at an Expeditionary Learning/Outward Bound Elementary School looking to learn from and share ideas with other teachers. About Blog The Tiger Lily classroom is Wild Lilac Child Development Community’s Early Kindergarten room. We welcome you to our blog! About Blog Welcome to Room 1 blog for 2017. We are a class of energetic year 5/6 learners and our teacher is Mrs Poole. We share everything what is happening in the class. About Blog In Room 2 we are all about developing a lifelong passion for learning. Fostering our curiosity is our teacher, Mrs Wallace. Please visit our blog regularly and let us know your thoughts; it's great for us to have an audience to share our journey with. About Blog We are an enthusiastic Year 5/6 class and our teacher is Miss Robertson. We are looking forward to working together and learning lots of exciting and new things this year! Check our blog regularly to see what we have been up to. We would love to read your comments. United States About Blog This beautifully designed blog is a great resource for teachers who work in looping classrooms or who are responsible for teaching several different grades throughout the day. Classroom ideas and lesson plans are presented alongside management tips. Facebook fans 21,174. Twitter followers 4,835. 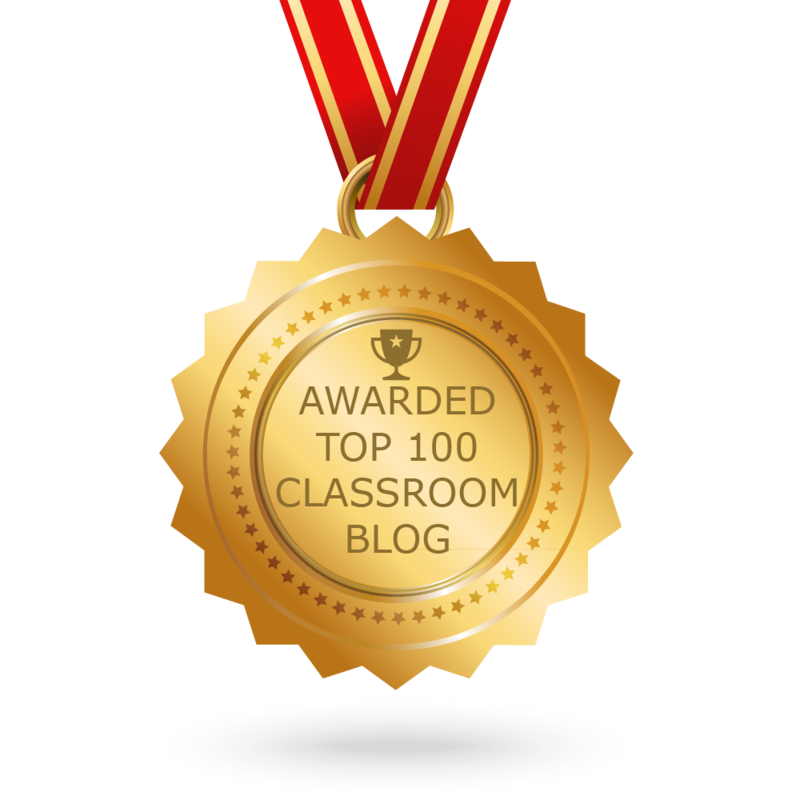 CONGRATULATIONS to every blogger that has made this Top Classroom Blogs list! This is the most comprehensive list of best Classroom blogs on the internet and I’m honoured to have you as part of this! I personally give you a high-five and want to thank you for your contribution to this world.